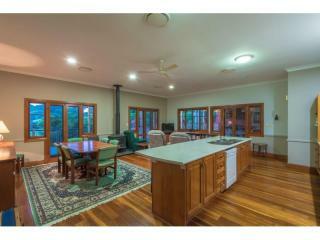 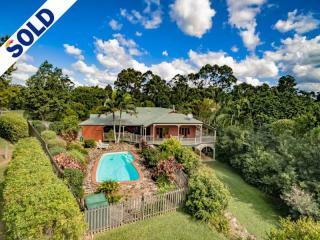 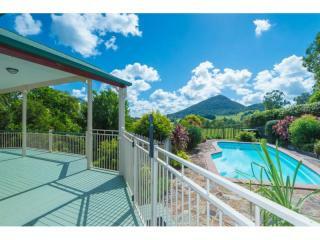 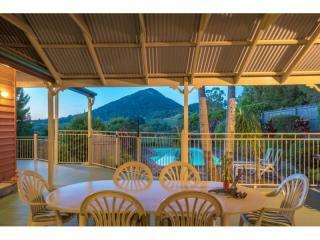 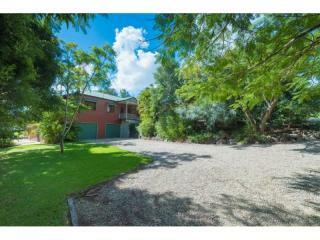 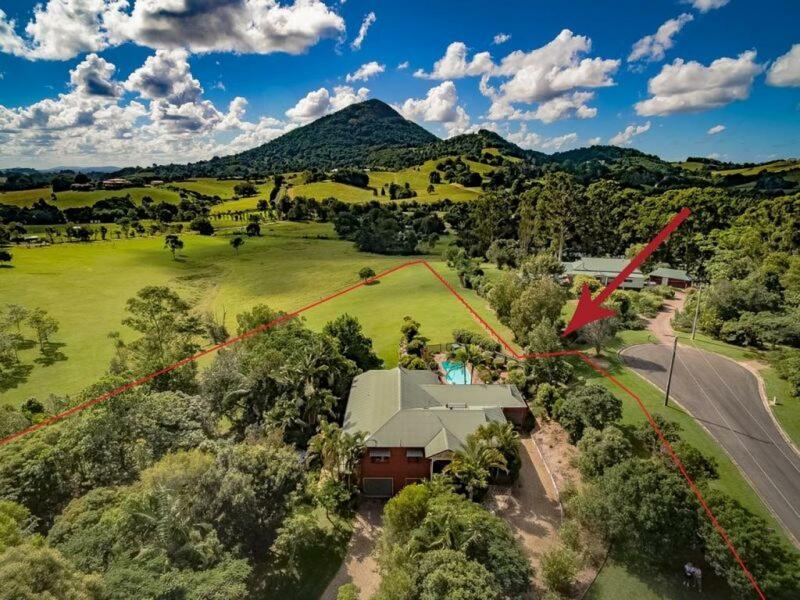 For peace, quiet - and a glorious dress circle view of Mount Cooroy - serious home buyers should look no further than 46 Deirdre Drive, Eumundi. 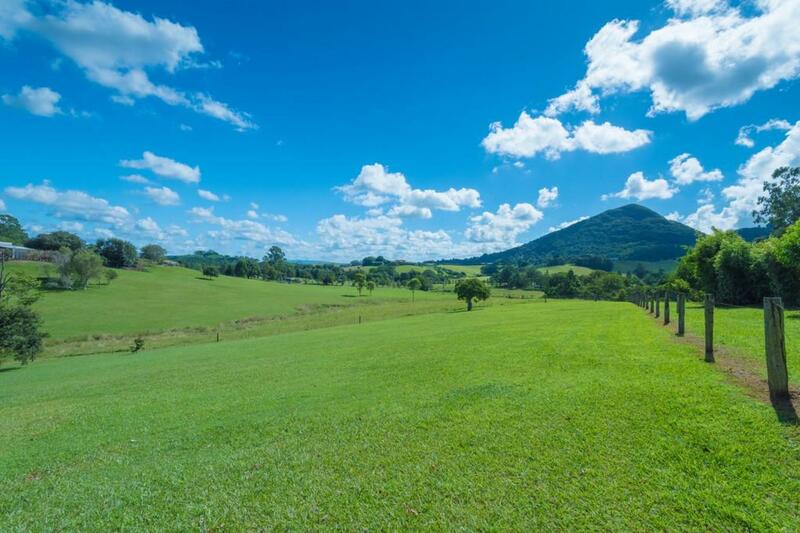 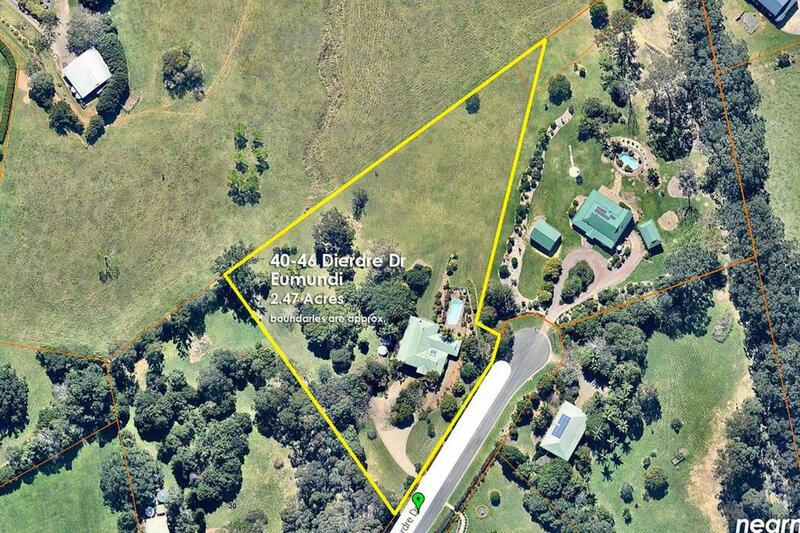 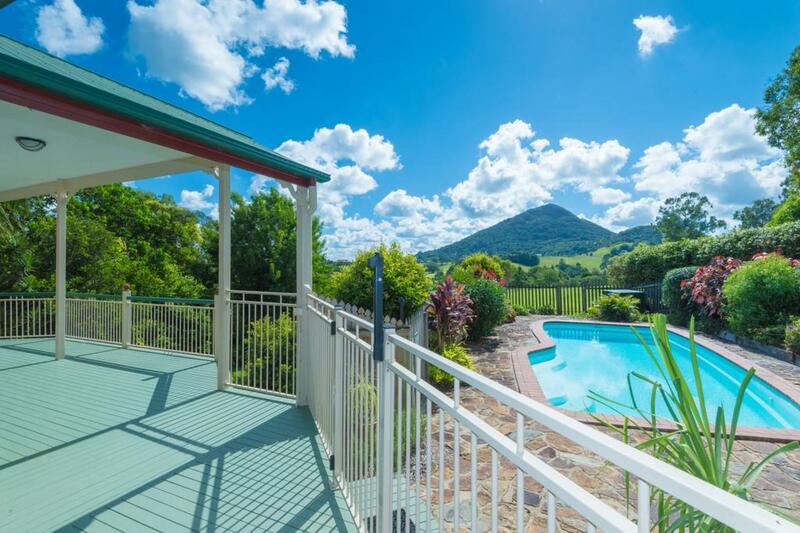 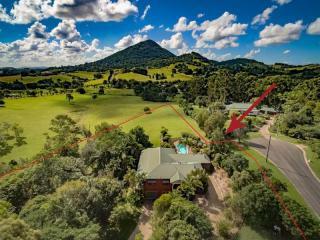 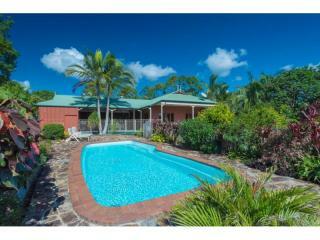 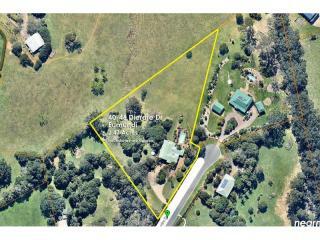 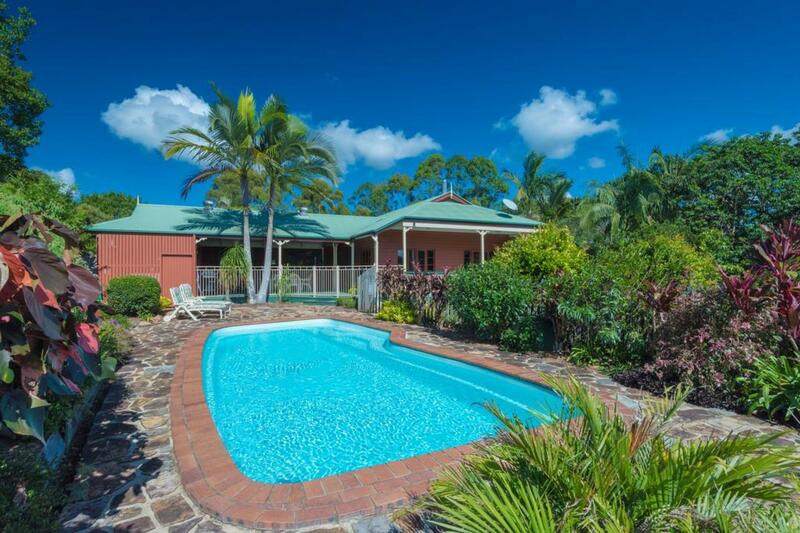 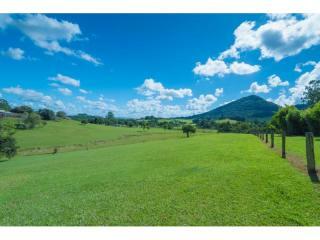 This 2.5 acre property at the end of a sheltered cul de sac off Eumundi Range Road, boasts quite possibly the best mountain view in the hinterland: across lush paddocks and undulating hills to the pyramid peak with nothing to mar the senses between. 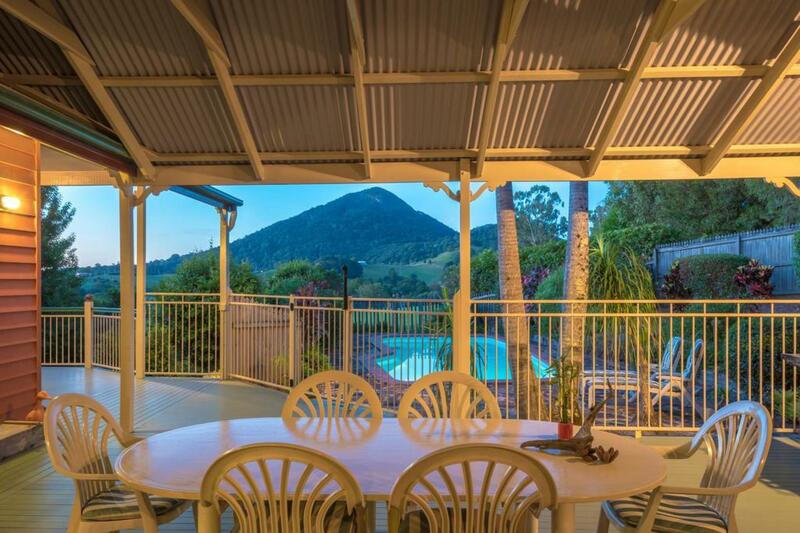 For 17 years the current owners have savoured this view from the verandah of their home, but now it's time to let others take their seats. 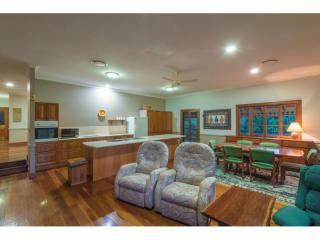 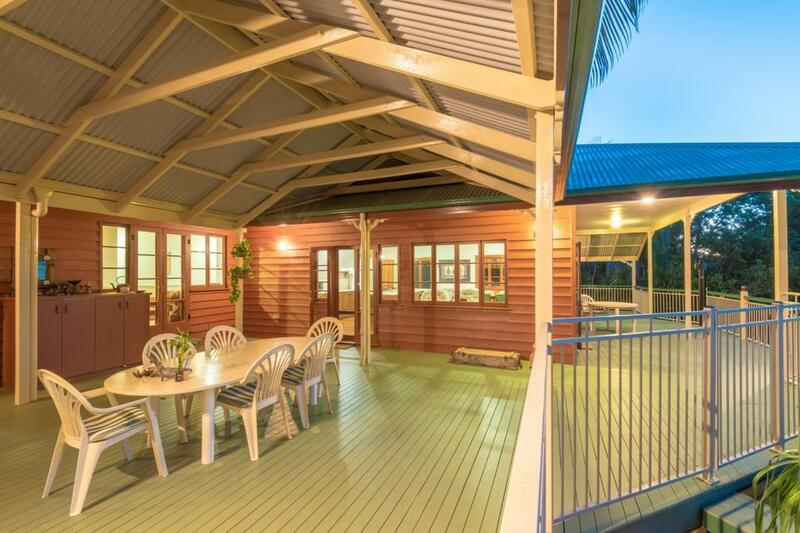 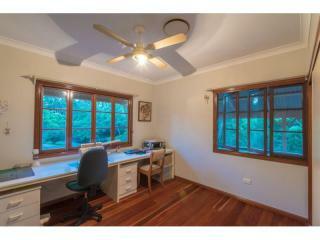 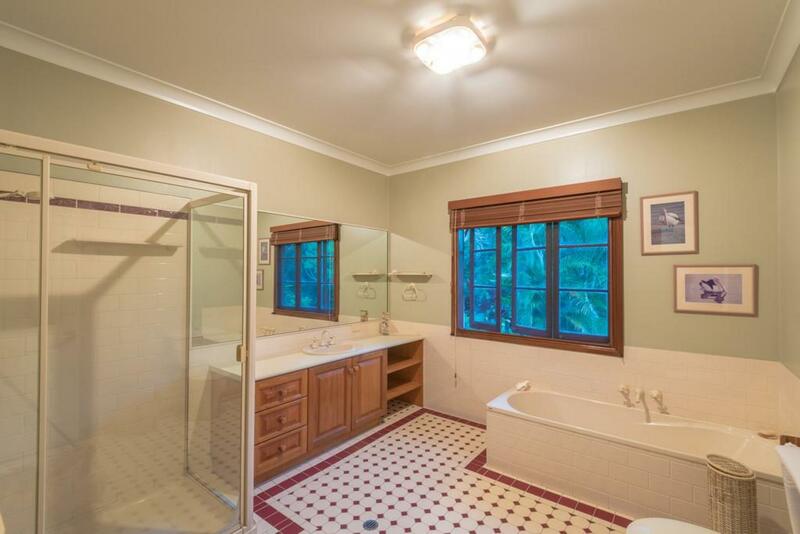 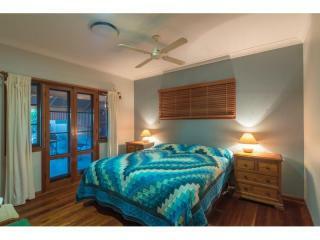 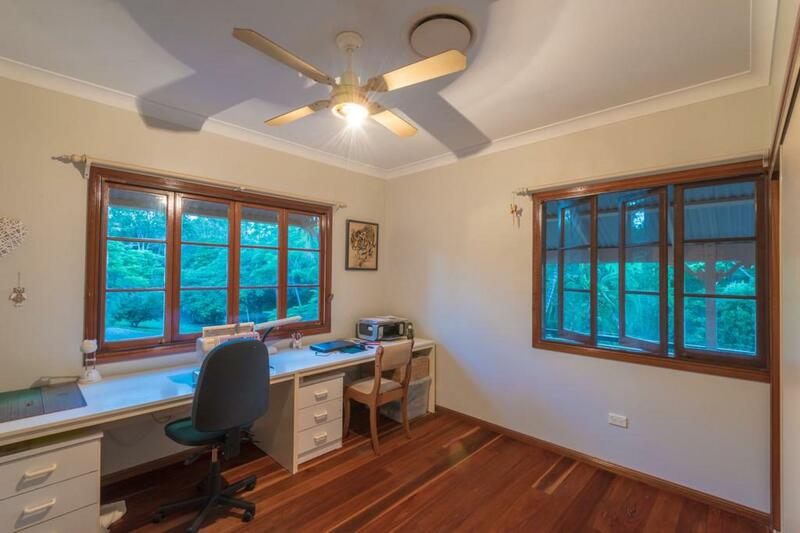 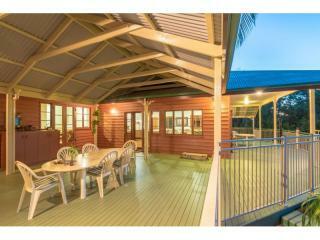 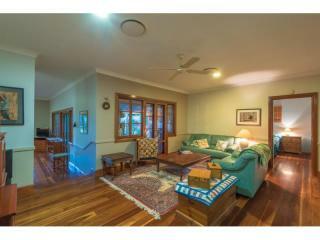 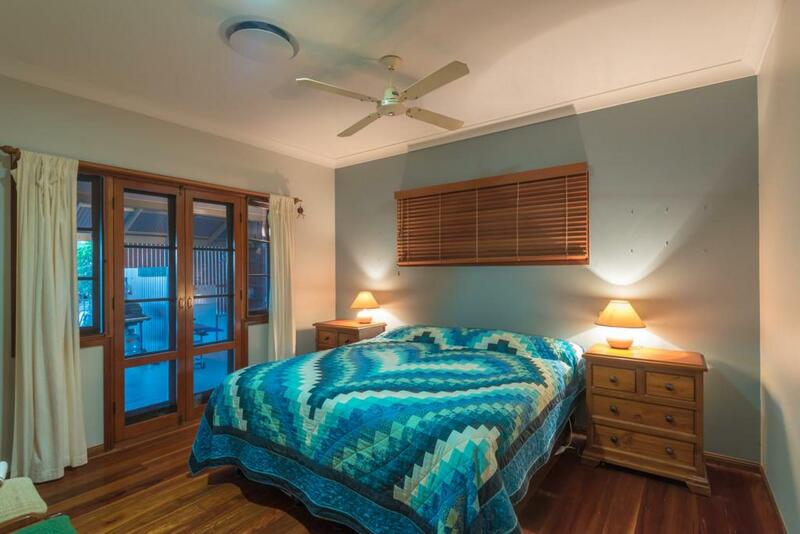 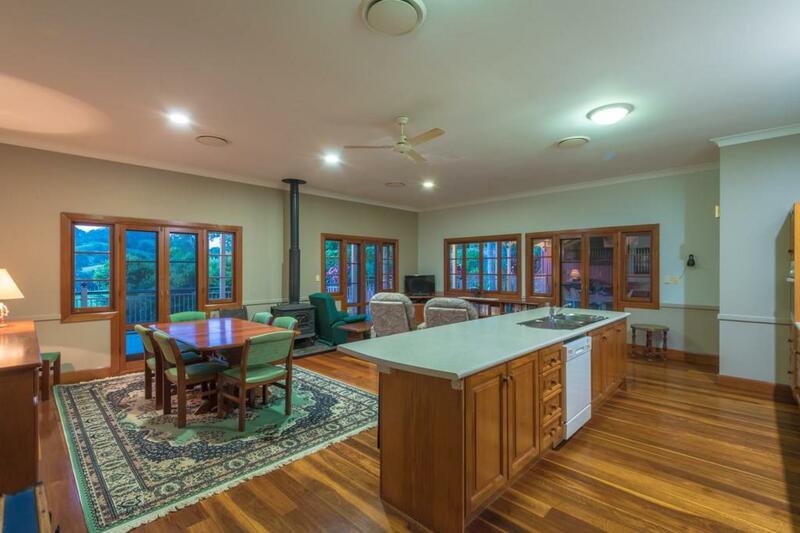 Their large, high-set Queenslander was built in approx 1993 from western red cedar and is ideal for a large family or one with teenage children, grandparents or in-laws in tow as it can comfortably accommodate 2-3 generations (or even a tenant). 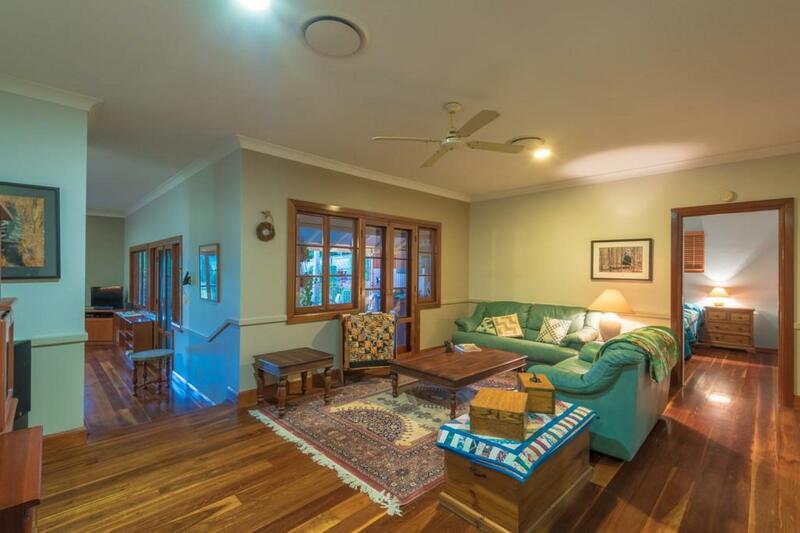 Besides two living rooms, an office and three bedrooms upstairs, it has a self-contained 1 bedroom retreat below with kitchenette, bathroom and separate entrance. 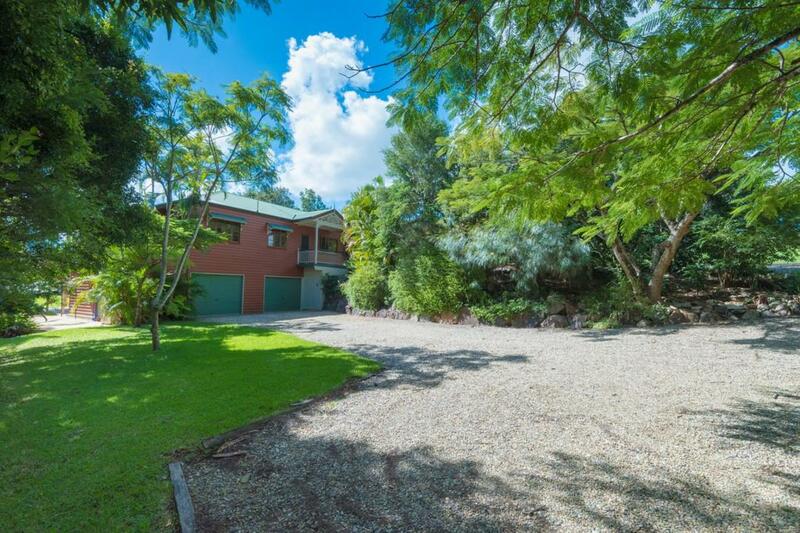 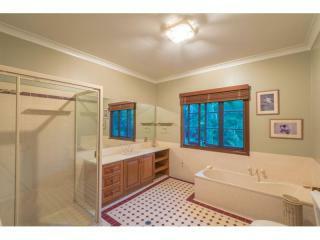 The property is well maintained with lawns and easy care gardens; an attractive in-ground pool and two undercover patios for BBQs and entertaining. 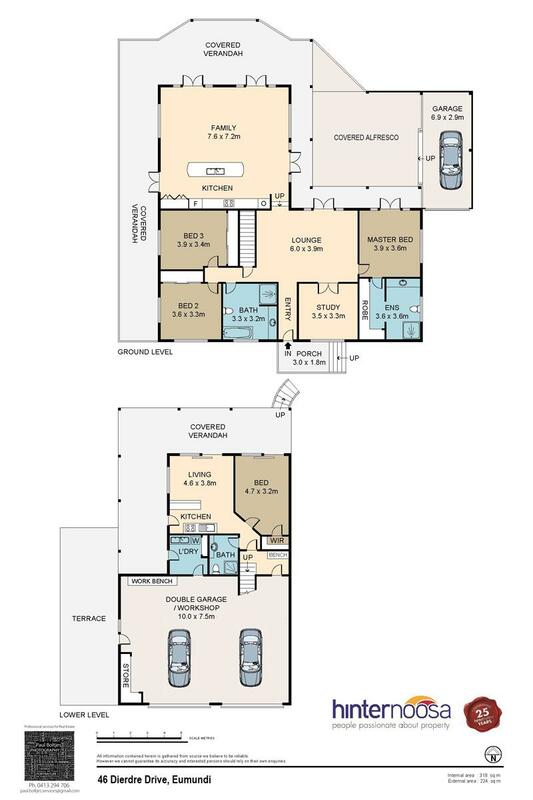 An extra large double garage provides all weather access as well as workshop and extra storage.